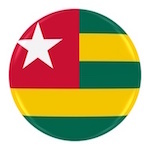 Kouassi Kla is Managing Director of Corlay Togo, ranking third marketer of the Republic of Togo. He holds a Master of Business Administration (MBA) in Finance in 1983 from the University of Baltimore, Maryland, USA. Kla’s Professional career started in December 1983 in the Finance Department of Phillips Petroleum Company, an American upstream company based in Côte d’Ivoire prior to joining Texaco Côte d’Ivoire in 1990 in the downstream. 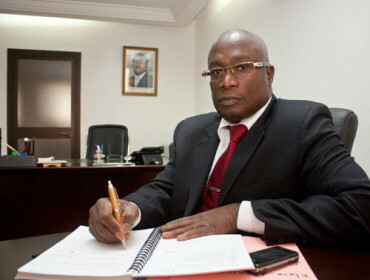 With 32 years of experience in the petroleum industry with high profile multinational companies in upstream and downstream, Kla held increasing responsibilities as Deputy General Manager of Texaco Côte d’Ivoire, Managing Director of Texaco Togo and Texaco Benin, Managing Director of Texaco Cameroun. We are redefining standards in meeting the fuel needs of our customers in West Africa. We currently offer cylinders under four (4) packagings: 3 kg; 6 kg; 12.5 kg and 25 kg. The following are best practices for handling our cylinders at home, while transporting and while refilling. We have numerous re-sellers and distributors nationwide. Click on our map to find a location nearest to you. Corlay Togo is committed to selecting the best possible lubricant dealer, with the focus on the determining factors of Business Risk, Organizational Risk and Reputation Risk, consistent with the long-term best interests of the Company as it shall determine in its sole discretion. Fuel quality: frequent trainings and daily basis controls are conducted by our team to check out for potential contamination, water presence, leakage. Lubricants and LPG quality: all these appealing products are certified and delivered in eco-friendly sealed packages very respectful of the environment. Safety and security: Dealing properly in risky situations is one of the core training provided regularly to our team. A dedicated team with expertise in safety are mandated to ensure and guarantee security to our customer through our installation and equipment. Our convenience stores are shelved in order to provide a wide and extensive range of useful products. Some of them are even open 24 hours to provide more convenience to our customers.